The history of Ravello, in its civil, religious, economic and tourist aspects, presents a unique richness that allows the visitor to capture unique elements. It is not possible to visit Ravello without a connection to the role that the city had in the various centuries with its lights and shadows, with its periods of greatness and with those of decadence, but always with an important role in the amalfi territory. 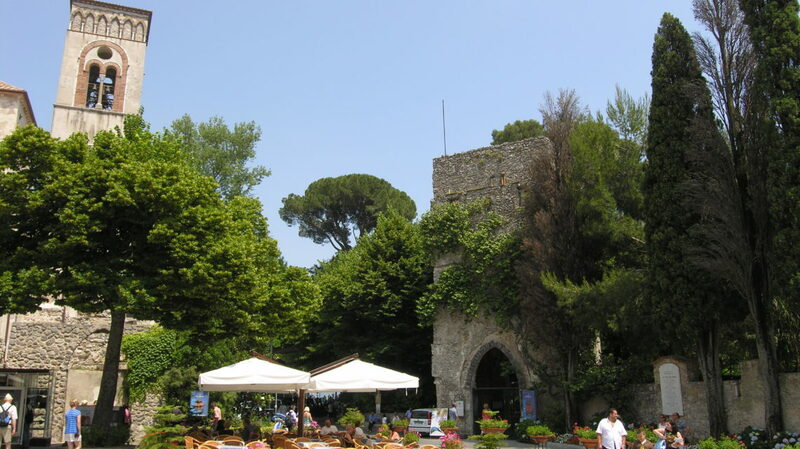 Ravello, located on the plateau that divides the valley of the stream Dragone from that where flows the stream Reginna, intact shows many testimonies of the millennial history that has seen her protagonist with the Duchy of Amalfi on the political scene of the medieval Mediterranean. 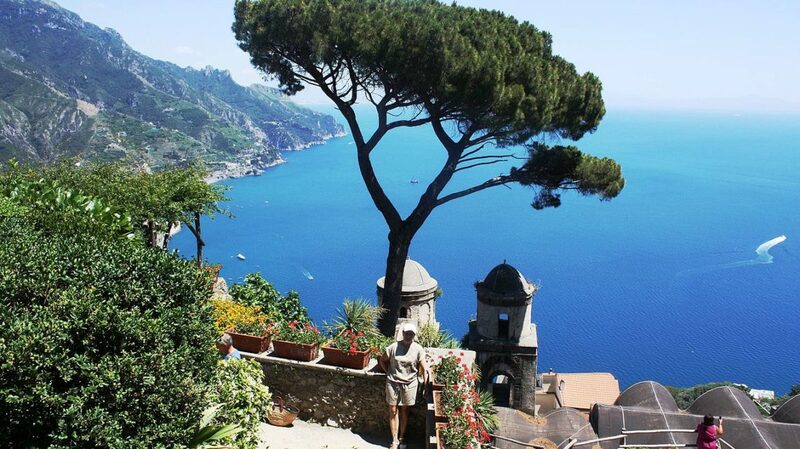 Tradition says that Ravello, like all the other towns of the Amalfi Coast, dates back to the arrival of a group of Roman nobles who arrived here after the shipwreck of their ship along the Dalmatian coast, which occurred while they were going to Constantinople. But the archaeological traces, even if very limited, make us think of a frequentation already in the classical era with some villas, as if they counted on the coast. 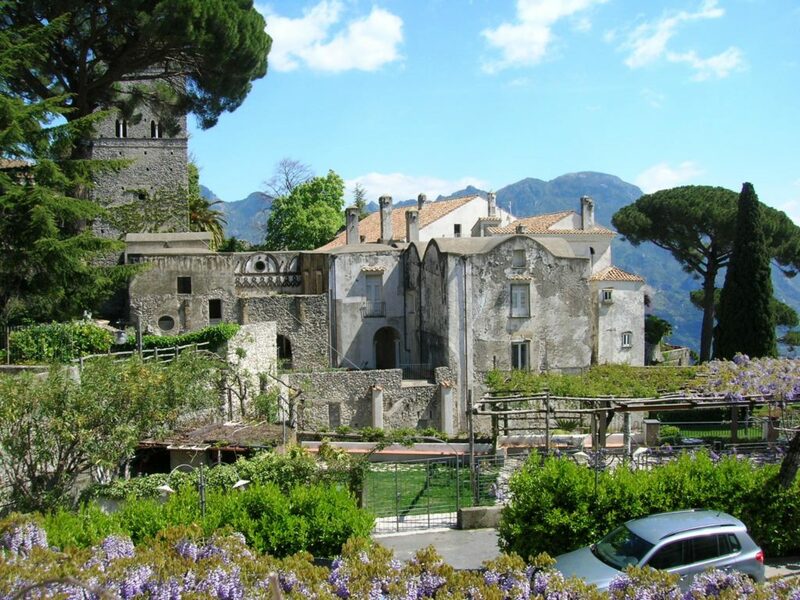 The history of Ravello acquires greater documentary consistency starting from the creation of the Maritime Republic of Amalfi on 1 September 839, when all the territory around the coastal center met in the Duchy. The discovery of Ravello as a pleasant and worthy place to be visited dates back a long time and, even if there are no certain testimonies of the “tourist” presence of Boccaccio during the Neapolitan stay (1327-1340), certainly the beginning of the fourth novel the second day of the Decameron reveals a good knowledge of it. The subsequent rediscovery of these places occurred overcoming the thousand difficulties that involved coming from Naples both by sea and above all by land. There are descriptions of travelers who, through the main lines of connection, which crossed the mountain range of Monti Lattari, donkey back or even on foot, they pushed on the coast in search of the splendor of the ancient Maritime Republic, lady of the Mediterranean and military power of the medieval era. 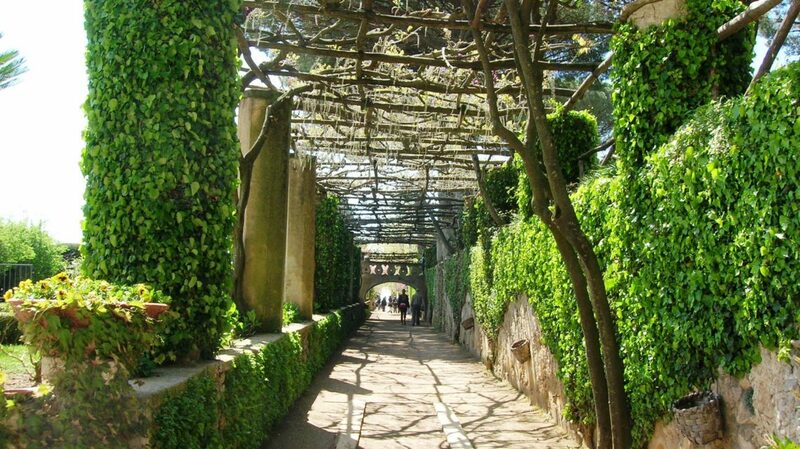 In fact, most of the travelers who came here were looking for the grandeur of Amalfi and someone was pushing on the hills in search of landscapes, where the presence of ruins combined with lush vegetation made of woods and gardens fully responded to the romantic taste. The Grand Tour, in fact, even if with some delay, also touched the Amalfi Coast, which appeared strongly isolated from the plain of Paestum, where you could admire the ruins of the Greek great antiquity, or to Sicily that offered the sunny climate of the Mediterranean and the millennial history. Those who arrived here were looking for something they had not found elsewhere or were fascinated by this particular landscape. 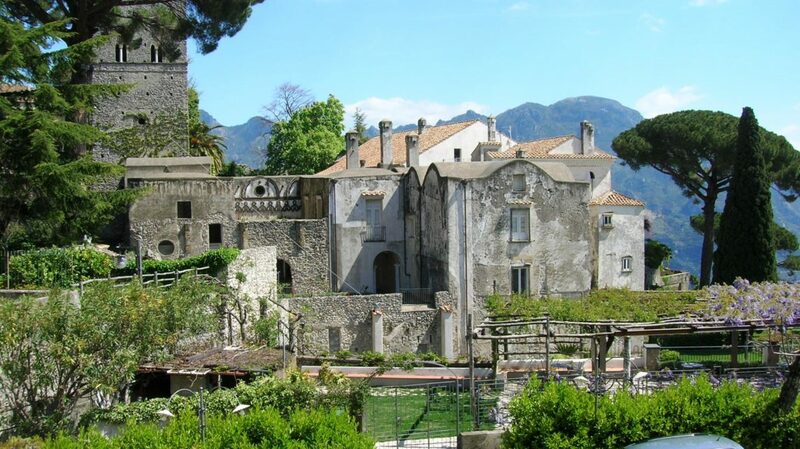 A strong tourist impulse from the time that Ravello was established here, in 1851, the Scottish botanist Francis Neville Reid, who, fascinated by the places, bought the ancient Villa Rufolo. The tourist fortune of the country, therefore, sees a steady growth throughout the twentieth century thanks to important insights that some local hotelier has and investment choices that institutions responsible for tourism have since the second half of last century. Thanks, in fact, to the foresight of Paolo Caruso, descendant of one of the first local hoteliers, who sensed the need to link local development to the fame that Ravello had in Europe in the nineteenth century, were organized the first editions of Wagner’s Concerts, which frame of the gardens of Villa Rufolo, where the German musician had found inspiration for the completion of the opera Parsifal, brought classical music connecting it to a magical place; subsequently the Provincial Tourist Board of Salerno decided to acquire the Villa, which was previously private property and therefore not always open to the public. The international reputation has grown even more thanks to the opening of receptive activities that cover the whole range of demand from B & B to 5 * hotels. 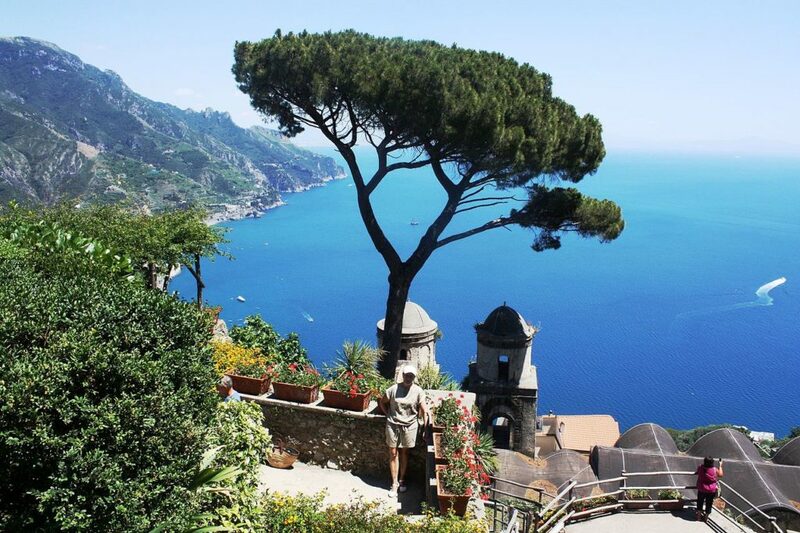 Ravello, like a casket, contains two precious gems that bear witness to the fame that the coastal center enjoyed in the past. 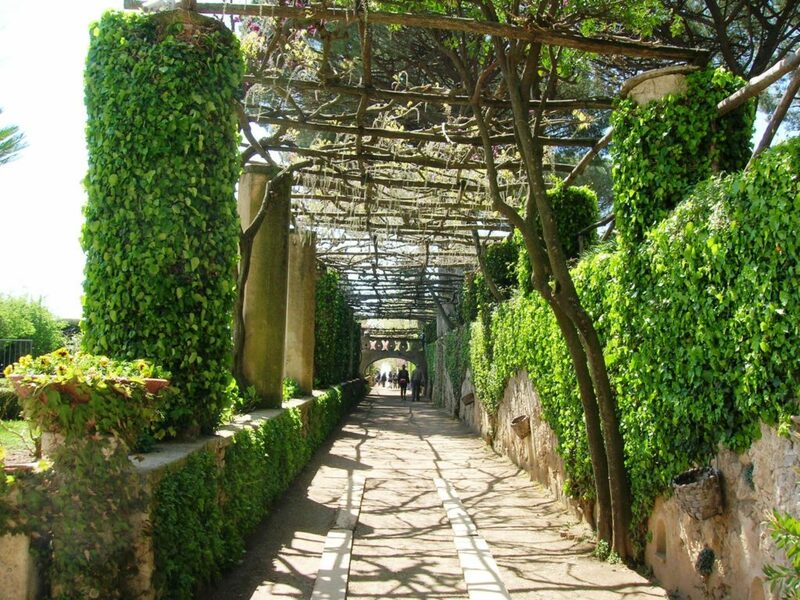 The first of these magical places, the oldest one, is the ancient home of the wealthy Rufolo family, which, after being owned by the Confalone family, was bought by the Scottish botanist Francis Neville Reid in the nineteenth century and transformed into the magical garden that he welcomed Richard Wagner in 1880. The second place is Villa Cimbrone, commissioned by Ernest William Bercket in 1904, and which can be considered the synthesis of Ravello’s architecture. The dome, dedicated to the Madonna Assunta and which preserves the relic of the Holy Protector of Ravello, Pantaleone, from the Church of the Body of Christ, now used as a picture gallery, and from the Duomo Museum, which occupies the ancient crypt and collects the most important artistic pieces coming from the Duomo itself and from the other churches, some no longer in use. To visit the Duomo complex means to fall not only in the local religious sentiment that has found in the Martyr Pantaleone, intercessor with God of the necessary graces especially in difficult moments, but also in the artistic influences exerted on the local art by the numerous contacts with the oriental world. The opportunity to admire the heritage made up of the paintings that decorated other churches in the country and some very important works of art in national artistic history, such as the so-called Sigilgaida Rufolo, increases the cultural interest of this place. 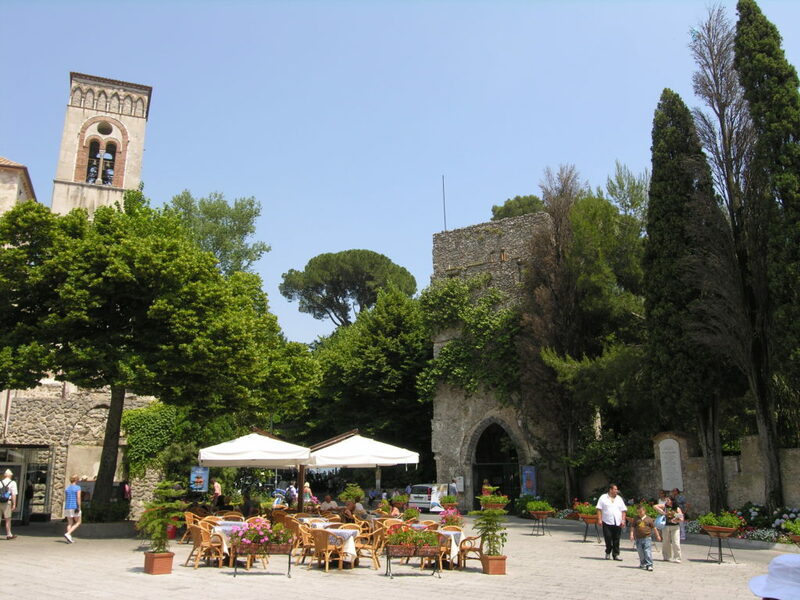 The Ravello civil architecture is characterized by numerous evidences dating back to the period of maximum splendor of the city and is represented by the numerous residences of the local patrician families. It is interesting to note that the greatest concentration of such buildings is located along the ridge route that goes from the Church of S. Giovanni del Toro to the area behind the Cathedral, dedicated to the Madonna Assunta, although other testimonies are near the main square and also in outlying areas, such as the one where the Monastery of the Clarisse Sisters stands. The element that characterizes these residences is the synthesis that can be seen in them between the function of representation, that of housing but also commercial. The structure is repeated almost similar in all the buildings: an uncovered central courtyard, which is accessed through a door that is also large enough to pass a medium-sized wagon, all around the courtyard (catodia), ready to welcome the goods that passed in and out of the building, a staircase, almost monumental in size, open onto the courtyard through a large window (often arched on the Aragonese model), which led to the upper floors, those where the owners lived. It is not uncommon to find in these palaces the so-called “Arab baths”, ie structures that, taking up the Roman “philosophy” of the baths and then the east of the hammam, allowed the owner to enjoy the benefits of the steam baths, thanks to the presence of prefurni and fountains inserted directly in the room used as a bathroom (some still survive the suspensure). Next to these decorations was the rustic part, where products from the garden surrounding the palace were transformed. In numerous sales or leasing deeds the millstones are mentioned, ie the structures where wine and oil were produced.